By 1970, McKinney was surpassed in size by Plano. McKinney experienced moderate population growth, from 15,193 in the 1970 census, to 21,283 in the 1990 census. By the mid-1980s the town had become a commuter center for residents who worked in Plano and Dallas. In 1985 it had a population of just over 16,000 and supported 254 businesses. Since then, McKinney's rate of increase has been much more dramatic. In the 2000 census, McKinney had grown to 54,369 with 2,005 businesses, and in the Census Bureau's 2006 estimate, the population was 107,530. The current population for McKinney (2010) is rounded up to 128,000. In the September 2012 CNN's Money Magazine's issue, McKinney was ranked 2nd place as Best Places to Live in the United States. In July 2010, McKinney was ranked 5th place in CNN's Money Magazine's list of best places to live in the United States. Also, McKinney is the only City in Texas that made the top ten. 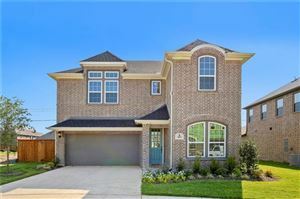 McKinney is one of several fast-growing communities on the northeastern edge of the Dallas-Fort Worth Metroplex.